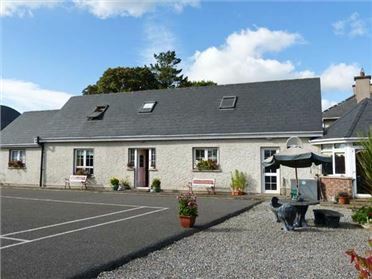 Cavan Hill Cottage is a detached cottage located two miles from Ballinrobe, County Mayo. 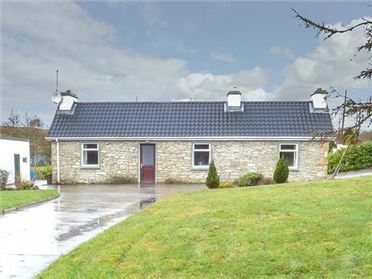 This cottage sleeps four people in two bedrooms, consisting of two doubles, including one en-suite shower and there is also a shower room. The cottage also has an open plan living area with kitchen, dining area and sitting area with multi-fuel stove. Outside there is off road parking for two cars and a front enclosed lawned garden with furniture. 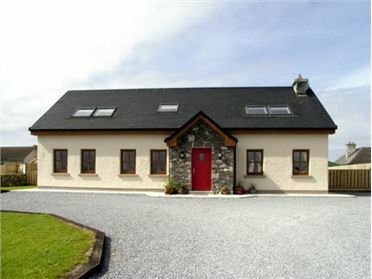 Cavan Hill Cottage is an ideal base for touring the West of Ireland. All ground floor. Two double bedrooms (one with en-suite shower, basin and WC). Shower room with shower, basin and WC. Open plan living area with kitchen, dining area and sitting area with multi-fuel stove. Oil central heating with multi-fuel stove. 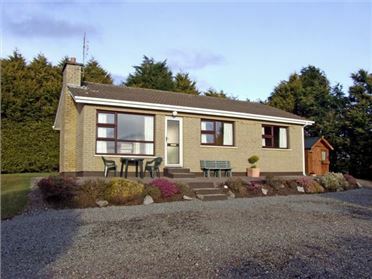 Electric oven and hob, microwave, fridge/freezer, washer/dryer, TV with Saorview, DVD, selection of books, games and DVDs. Fuel, power and starter pack for multi-fuel stove inc. in rent. Bed linen and towels inc. in rent. Off road parking for 2 cars. Front enclosed lawned garden with furniture. Sorry, no pets and no smoking. Shop and pub 2 miles.